We are developing XEN901, a potent, highly selective Nav1.6 sodium channel inhibitor, for the treatment of epilepsy. By selectively targeting Nav1.6, it is anticipated that XEN901 may achieve efficacy conferred by this well-validated epilepsy target, but with a potentially improved therapeutic index compared with currently available non-selective sodium channel inhibitors. There is strong human genetic validation supporting the rationale for treating epilepsy by blocking the Nav1.6 sodium channel. Nav1.6 is the most highly expressed sodium channel in the excitatory pathways in the CNS. When mutations in the SCN8A gene, which encodes the Nav1.6 sodium channel, result in a gain of function in the Nav1.6 sodium channel, children can present with a very severe form of SCN8A Epileptic Encephalopathy, or SCN8A-EE, also known as EIEE13. At the American Epilepsy Society (AES) Annual Meeting in December 2018, Xenon presented pre-clinical research related to XEN901 in a number of posters, which can be found on our “Publications” page under the XEN901 heading. In February 2018, we initiated a randomized, double-blind, placebo-controlled Phase 1 clinical trial to evaluate XEN901’s safety, tolerability and PK in both SAD and MAD cohorts of healthy adult subjects. The next steps for XEN901 include continued planning for Phase 2 or later clinical development to evaluate XEN901 as a treatment for adult focal seizures or for rare, pediatric forms of epilepsy, including SCN8A-EE patients, depending on feedback from planned discussions with regulatory agencies. We expect to receive regulatory feedback on the requirements to advance XEN901 into pediatric SCN8A-EE patients in the second quarter of 2019, and pediatric formulation development and juvenile toxicology studies are underway to support future pediatric development activities. SCN8A Epileptic Encephalopathy (SCN8A-EE), also known as EIEE13, is a rare, extremely severe, single-gene epilepsy caused by mutations in the SCN8A gene that result in a gain-of-function in the Nav1.6 sodium channel. 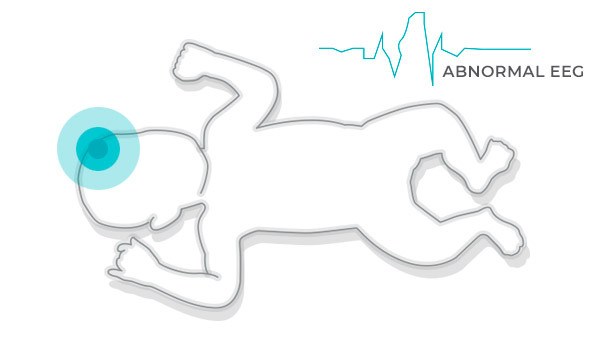 SCN8A-EE typically presents with seizure onset between birth and 18 months of age. Most children diagnosed with SCN8A-EE have seizures that can occur multiple times a day and are often difficult to treat. Other symptoms include learning difficulties, muscle spasms, low or high muscle tone, poor coordination, developmental delay, and features similar to autism. The extent of physical disability leaves some children able to make little or no voluntary movement. Most children will have trouble learning to speak, and some will need assistance from feeding tubes to get the nourishment they need to grow. It is also believed that children and teenagers with SCN8A-EE are at risk for SUDEP.